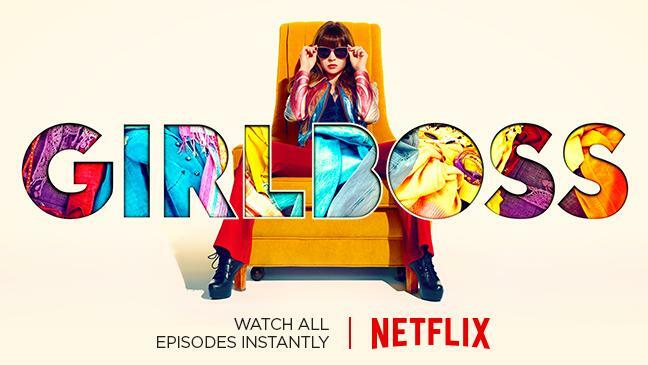 Recently I finished watching Girlboss, the Netflix TV series adaptation of the best selling book, Girlboss by Sophia Amoruso. I have never read the book, however knew a little about it from reading various opinions on different blogs, however I was interested in the show because it's supporting online businesses which at the time were different and it's female led as it's written by Kay Cannon who has also wrote Pitch Perfect, and produced by Charlize Theron's production company which I thought was very cool indeed. Unfortunately, I didn't like this series. I forced myself to watch it through to the end, and once I did finish it I was more happy that I had got through it rather than thinking how good it was...which is annoying because the final episode actually has some of the best moments. The main reason I didn't like the show was Sophia. I know there's been some reviews where it's like she's a mean person and people don't get it, but I totally do get it. She is a mean person and I don't see her grow out of that or even learn her lessons, which makes her not very likeable. There's some TV characters which are selfish that I absolutely love, Hannah Horvath from Girls, Rachel Berry from Glee, Piper Chapman from Orange is the new black to name a few. The main reasons those end up being likeable is because they are called out for being selfish and mean, and learn from it. Sophia goes from episode 1-13 without really changing and her friends don't call her out on it once. It really bugged me and really made the show disappointing. That being said, I think some parts of the series were done fantastically. In the final episode, there's receptive music when Sophia remembers something and thats really well done, the changes in mirror scenes when she sees how an outfit could look is cool and there's probably the best online forum representation that I've seen (it's probably a niche thing to see that often anyway). It's been announced that the show has also been cancelled by Netflix and won't be returning for a second season. It's always disappointing for a show to be cancelled, especially with the reasoning basically being they want more quantity on their platform, however I don't think this one will be a huge loss. If you are interested in fashion, the online community or have read the book then you'd probably be interested in this series, but for me it's not one I'd recommend first. Have you watched Girlboss? What did you think?